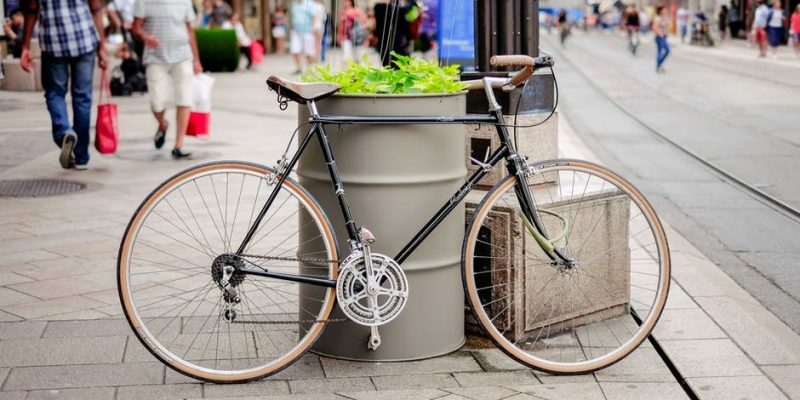 Cycling, for fun or amongst traffic, may seem easy and safe, but there’s more to maneuvering busy streets than just hopping on your two-wheeled ride and wearing a helmet. Before aiming to be as agile as Lance Armstrong or become an expert at swerving in and out of lanes, keep in mind that anything that includes wheels is hazardous. Everything has risks, including cycling – even if you have all the correct safety equipment. Car drivers and bike riders have to respect each others’ space and follow the same traffic signals, too. Just because bikers occupy a smaller slice of the road, it doesn’t mean they get lesser street privileges. By cycling to work or school, you’re not only energized, you also get your week’s worth of recommended physical activity. As a matter of fact, the number of bike commuters has been on the rise lately, especially in Bicycle Friendly Communities since 2015. Being confident on the road is a must. Shaky hands and wobbly knees will make it much harder for you to keep a steady pace on the road. You also have to make sure you’re equipped with the right safety gear and that they fit you well. Make sure you can be seen whether it be in plain daylight or at night. Attach lights to both the front and rear of your bicycle. Don’t showboat, especially when you’re biking on unfamiliar roads. If time permits, try out a test run over the weekend. Always be aware of what’s happening in your surroundings. Never counter-flow against traffic unless it’s an emergency. Hand signals are good precautions to take before turning corners. Familiarize yourself with the safest routes first, before tackling hidden shortcuts and roads less taken. After awhile, you can start taking scenic routes more often. Plan your journey before you set off. Be aware and anticipate any road blockages along your usual route. Don’t forget to take the weather into consideration either. Make sure your brakes are working perfectly. Slippery, wet roads are much harder to maneuver around. If your feet are buried in the layer of snow, chances are, your wheels will struggle, too. Move on to Plan B, which usually means taking public transportation instead. High-end bikes are no match for severe weather, ever. For sunnier days and farther destinations, combined commuting allows you to take faster means of public transportation (train, bus or ferry) while still being able to squeeze in some cycling. Never hesitate to take breaks during your trip, especially if you’re new to the cycling scene. Getting tired before you reach your destination is normal and nothing to be embarrassed about. Quieter, less used roads feel more comfortable. Tired riders have less control over their bikes, increasing the possibility of road accidents. Although it may seem efficient and easier to maneuver during rush hour, bikers are among the top victims of highway disasters. Dress warmly, or lightly, depending on the weather. Afraid of getting uneven tans? It’s just a matter of choosing the right clothes. Establish your road presence by wearing bright colored clothing. Sportswear collaborations have been on a roll lately, as big sporting brands like Adidas and Nike collaborate with major designers, giving “streets are runways” a whole new meaning. You’re getting fit, flaunting your ‘fit – just make sure you don’t get hit! If you commute by bike daily to work, make sure you clean up yourself to maintain fresh for the rest of the day. Bring extra clothes and shower equipment just in case your office has access to a shower. Should a shower be unavailable, freshen up with a wet towel and some deodorant. Start cooling down 5-10 minutes before you reach your destination. Biking isn’t just about building up lower body strength and dodging heavy traffic. Don’t forget to stop and take pictures along the way, too. Or if you’re daring enough, while you ride.